Fiber artist Dani Ives conjures the natural world in her unique take on the traditional craft of needle felting. Ives describes her method as “painting with wool,” in which she applies her love of animals and her background in biology to build intricately layered portraits of a variety of flora and fauna. Dogs, cats, birds, and farm animals come to life alongside toadstools and fruits, and Ives’ ability to capture the moisture and glint of animal eyes and noses adds an impressive degree of realism. 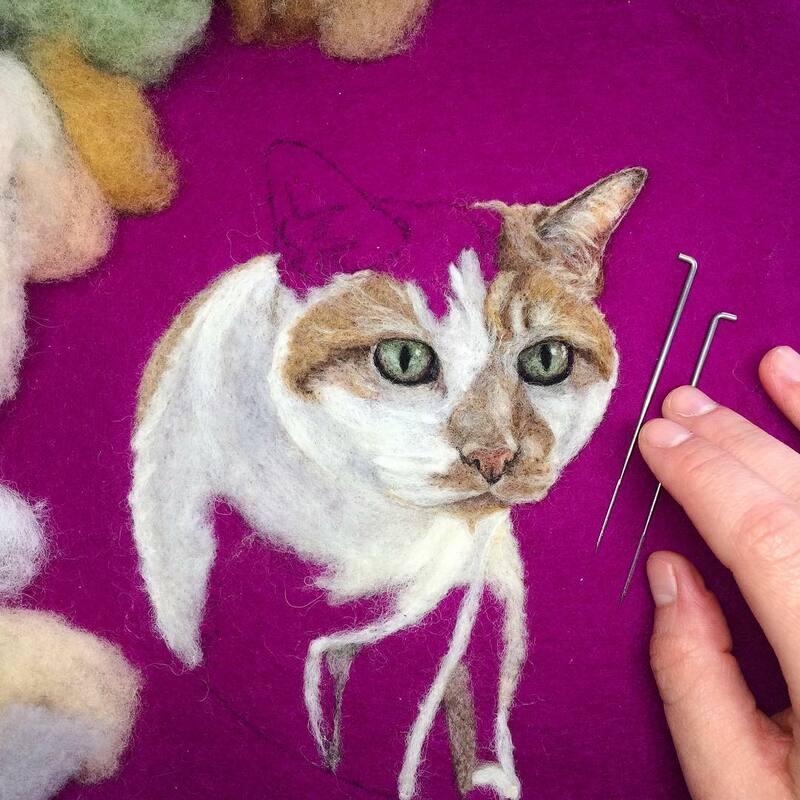 While her plant life depictions take more of a traditional botanical angle, most of Ives’s animal subjects take center stage on the embroidery hoop, peering out at the viewer, further adding to the strong sense of unique personality, and it’s no surprise that she is in high demand for pet portrait commissions. Ives sells originals and prints of her work on Etsy, and she continues her love of teaching by traveling from her home in Northwest Arkansas to lead workshops around the country, as well as offering e-courses in needle felting. You can also follow her work on Instagram.